Trust us, it's really good! Nintendo really seems to love DSiWare all of a sudden, because it seems to be getting more games than both other services combined every single week now. This time there's not four or five new games available for it, but a whopping six! The Virtual Console gets a classic long overdue in Europe, while WiiWare gets a rather anticipated game and an educational title. Zombie Panic in Wonderland (1000pts - Akaoni Studio) – A long-awaited shooting gallery game in which you take down zombies invading the land of fairytales. Sound familiar? That's because it's by some of the same developers, as our recent interview with Akaoni will reveal. Let's hope it's just as good! Learning with the PooYoos - Episode 2 (500pts - Lexis Numerique) – The second educational title to feature the lovable PooYoos, this one is obviously also geared towards the very young kids. We thought the first game was quite decent for its intended audience, so we're assuming this one will be on about the same level. As it was released in North America last Monday, we should have a review any day now! Blaster Master (500pts NES - Sunsoft) – Released in North America last year, this is easily one of the biggest cult classics on the NES. Although looking at screenshots might make you wonder just what makes the game so special, it simply works really well! Part of the game will be spent driving around in your vehicle exploring the enormous caves, but if you find a small passage you'll have to get out and do the dirty work yourself, controlling main character Jason on foot in an overhead action-based labyrinth. Our review will tell you exactly why this is one to get as fast as you can. And expect the WiiWare sequel soon as well! Game & Watch Helmet, Manhole and Vermin (200pts each - Nintendo) – Three more classic Game & Watch games, recreated perfectly for download onto your DSi. As with every other Game & Watch games, these are deceptively challenging little titles in which the objective is simply to get as high a score as you can without failing too many times. As luck would have it we've already reviewed Helmet, Manhole and Vermin when they hit the US earlier this week. Faceez (200pts - Neko Entertainment) – Another photo editing tool, although this one has a bit more going for it, allowing you to stick people's faces on little stick figures (The Faceez) and then animate them, making their mouths move and such. It's obviously not going to be interesting if you don't use the DSi's camera to take pictures of people too much, but if you do, it could be somewhat popular with your friends. Read our thoughts here. The Price is Right (800pts - Ludia Inc) – First Hell's Kitchen and now this! Based on the TV show of the same name, your main objective is to guess the prices of various objects. If you're the closest of all contestants, you get to play various other games to win a bunch of prizes. Let's hope it's better than Ludia's last effort! AlphaBounce (500pts - Mad Monkey Studio) – The developer lives up to their name, because this game's concept is truly mad. On the surface it looks just like another "bounce the ball to break the blocks" game, like Arkanoid, but this one also incorporates RPG elements, allowing you to gather equipment, level up, and all sorts of other stuff. The developer also claims there's several million levels! We'll give our thoughts soon. That's all this time! Will you be blasting through caves, slicing up zombies or sticking with Nintendo's good old LCD games? I still have small doubts about Zombie Panic in Wonderland. Might get Blaster Master someday. There have already been two retail DS "The Price if Right" games, how does this DSiWare game compare to them? More VC love for EU. 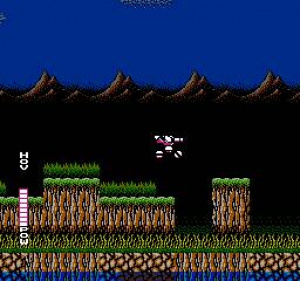 Just downloaded blaster master and got to second boss - seems cool, shame the graphics are squashed a bit though (as always...). If there is a 'Wii 2' VC, I want 60HZ as standard or they can keep it. Not sure about Zombie Panic myself, waiting for a review. I want Zombie Panic but I also want Art of Balance and Ogre Battle 64.... I only have 1200 points... dilemma! Alpha Bounce does sound sure interesting. I think what is happening with DSiWare is that companies are finally starting to finish up games they have been creating since the conception of DSiWare. I doubt we will see a drop in releases for a Long Time. I hope not anyways. Blaster master is one of the best 8 bit games ever. when do we get the MM10 DLC? Downloaded Zombie Panic in Wonderland (damn, no self control). Love it so far. I like what they did with the fairytales, that you can destroy everything and it controls really well (only movement from left to right). Defeated the first boss which was pretty challenging and pretty epic to be honest. I don't like that you can use all three weapons (four including grenades) in the first level. But only the machine gun has infinite ammo. So use the other weapons wisely. And what's up with the music. Pretty funny though. I love it so far. I also couldn't resist and downloaded it. I agree with your summary, the only thing I'd like to add at this point is to complain that there are no online leaderboards. You simply have to with arcade type games like this, it makes it so much more interesting when you can compare your scores e.g Onslaught. What an oversight by the devs! Edit: Sorry! I don't want to complain too much and put people off. It's a very nice game with great graphics and two player mode. I'm also jealous you guys got Alpha Bounce . Oh well, should be coming to us next update. I look forward to any early impressions uk gamers can offer. Mega Man 10 DLC released tonight for Playstation 3, I just saw it. I hope alphabounce comes to the US. I've been waiting for arkanoid-type game. 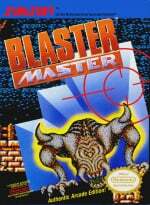 Congrats on finally getting Blaster Master. I highly recommend it to you all in Europe who haven't played it yet. Excellent platformer! But VERY hard. Pfft, if anything they're probably removing crap for the sake of it. And I can't even get my Bass for MM10... = ( It can wait. Good-o, we can access the stores again. But there's no option to download Bass or the special stages when I play Mega Man 10. = ( Laaaame! Australian DSi Shop: "The Nintendo DSi Shop is currently undergoing maintenance. Sorry for the inconvenience. Please try again later." There's a notice on the Wii Shop Channel that they did some maintenance at 3:00 GMT (was probably announced before then). Probably just making sure the servers will run fine and not break unexpectedly. Nintendo Europe continues the great support for Virtual Console since Hanabi festival! Good job! PS: If they just solve the PAL issues now by releasing only 60 Hz version Virtual console would be totally awesome even in Europe! @Bass X0, Mario maniac, and others interested. Mega Man 10 DLC out in Europe now! Playing AlphaBounce now. It's a fairly good Arkanoid-like. Like @KDR_11k said, the powerups make things a little too easy at times, but that might be because I'm playing Easy mode atm (I just picked the female character at the start, which turned out to be Easy mode). another cruddy nes game,why dont nintendo bring us some good NEO-GEO games or some VC ARCADE games not these crap nes games all the time,theres tons of good games out there for nintendo to bring to the VC instead we get junk like this. So did Australia get Zombie Panic in Wonderland? Also, can the B button be used for shooting in that game? Where's Cave Story? Next friday? AlphaBounce is awesome. I've been playing it for three days now, and still discovering new planets and gear. That thing with the game being too easy happened only at the beginning. Once you get to some different planets you'll be glad for any help you find.